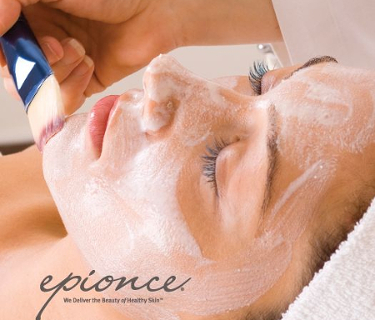 Epionce skin peels are simple, effective and proven. Developed in the U.S, it suitable for all skin types but it is especially effective for ageing, sun damaged, scarred and blemished skin. Using botanical ingredients, Epionce peels are powerful in delivering maximum effects with minimal down time and can be combined with other treatments such as dermaplaning. The lite refresh peel is a good introductory peel and can be used on all skin types, it enhances hydration and speeds up cell rejuvenation giving your skin a brighter smoother and more youthful complexion with no down time. The corrective peel is a more advanced treatment with a higher percentage of botanical acids. Formulated to improve texture and cell rejuvenation at a deeper level to reduce the appearance of deep scarring, sun damage, fine lines and wrinkles. This peel can be varied in strength to suit the clients needs. Upon consultation the technician will decide whether a course will be recommended. When booking a course 3, a home recovery kit will be included. On single treatments, recovery kits can be purchased for a reduced cost of £17.50, RRP £28.50.